Personalization Text Box - Copy & paste red text from designer. 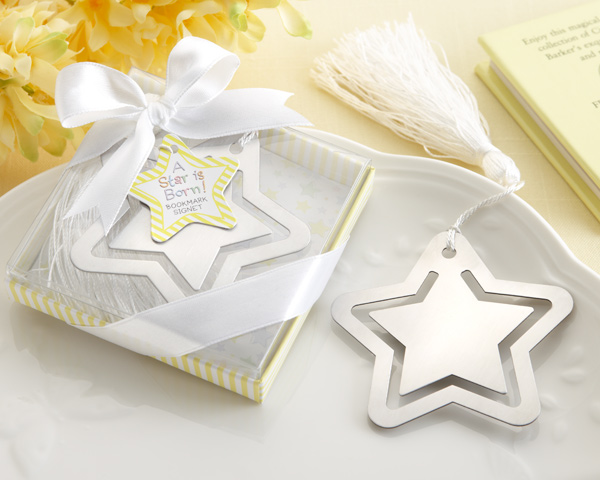 These fun star bookmarks are made of gleaming, silvery brushed-metal with a luxurious white-silk tassel attached. Star favors are ideal for a graduation, movie, Hollywood, or Bar Mitzvah party. The metal bookmark is approximately 2 3/4" in diameter. 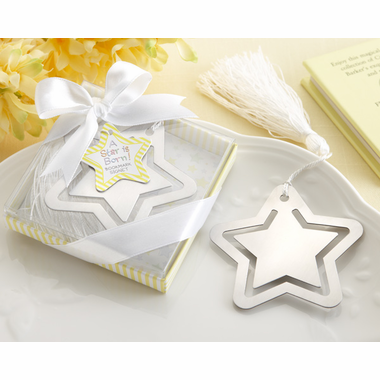 A 3 1/4" gift box has yellow and white stripes, a clear display cover, a white-satin ribbon and bow and a color-coordinated, star-shaped tag.